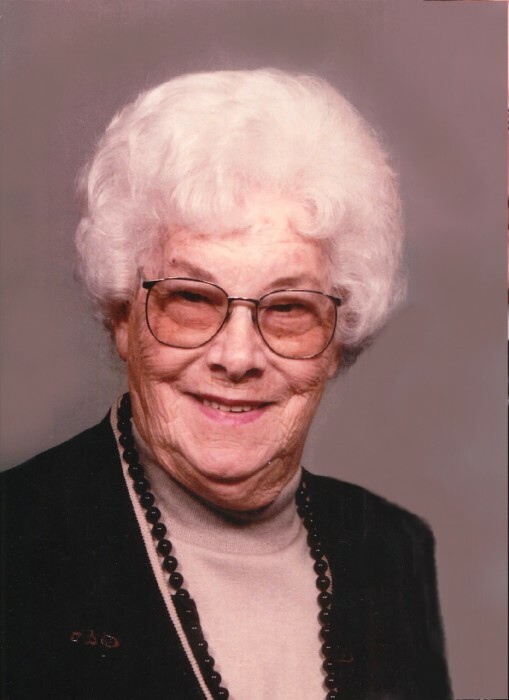 Evelyn Emma "Evie" Dedert, 94, of Quincy, passed away at 2:50 a.m. Thursday (January 24, 2019) at The Arbors in Quincy. Born March 10, 1924 in Burton, Illinois, Evelyn was the daughter of Elmer and Clara Hieland Butts. She married Marvin F. "Pete" Dedert on October 26, 1944 in Quincy. He preceded her in death on January 15, 2008. Evie was a member of Luther Memorial Church. She enjoyed attending Farm Progress Shows, bowling, playing Bingo and sitting at her home bird watching and watching the traffic go by. An avid card player, Evie enjoyed playing Pinochle, Pitch, Gin Rummy and Euchre with her card clubs, family and friends. Evie was employed at Kresge's in Quincy until she and Marvin started their family. She then devoted her life to caring for her family and helping her husband on the family farm. Survivors include five daughters, Barbara Stock of Mendon, IL, Charlotte Kaufman (Gary) of Quincy, Ginger Dedert of Quincy, Kay Graff (Paul) of Loraine, IL and Debra Knorr (Larry) of Fowler, IL; five grandchildren, Pamela Simmons (Robert) of Mendon, IL, Kimberly Enke (Jason) of Centralia, IL, Kelly Carroll (John) of Carthage, IL, Robin Allen (Mike) of Mexico, MO and Trevor Boone of Kilborne, IL; seven great grandchildren, Carley Simmons, Kelsey Simmons, Alexis Enke, Audra Carroll, Olivia Enke, Ian Carroll and Bentley Allen; and many loving step grandchildren, step great grandchildren, nieces, nephews and cousins. Mrs. Dedert was preceded in death by her parents; her husband, Marvin "Pete"; a son in law, Larry Stock; and a sister, Ruth Pieper (Russell). Funeral services will be held Saturday morning at 11:00 in the Zehender Robinson Stormer Cookson Funeral Home with Pastor Tony Metz officiating. Burial will be in Quincy Memorial Park. Visitation will be Saturday morning from 9:00 until the time of services at the funeral home.